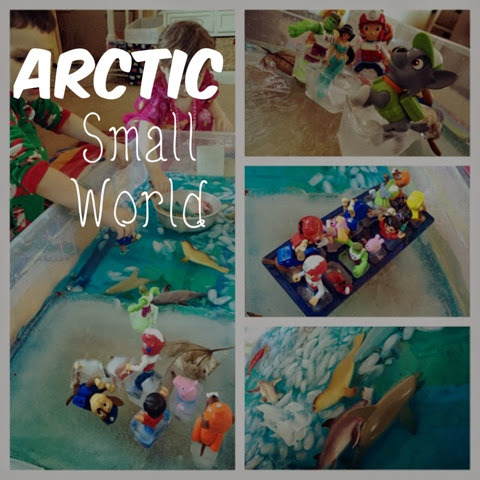 Continuing our ice and snow exploration for January, we put together an arctic small world complete with a block of ice, water, ocean animals and ice skaters. A small world is simply a miniature play scape intended to evoke imaginative play. We used the freezing temperatures outside to our advantage, freezing a large block of ice and some ice skaters. 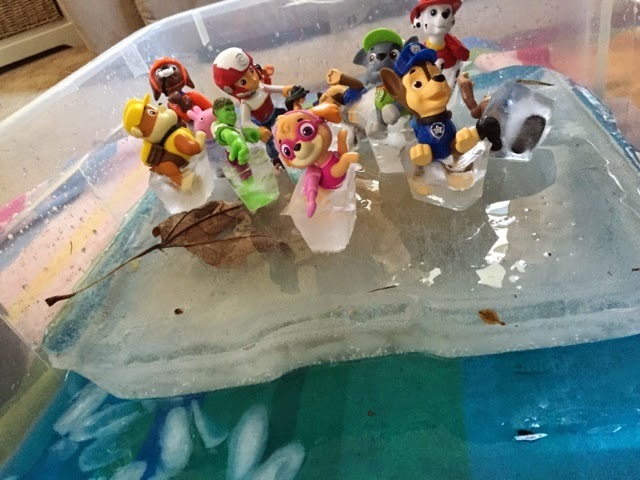 To make the ice skaters, I put some small action figures in an ice cube tray, added water, and froze them. 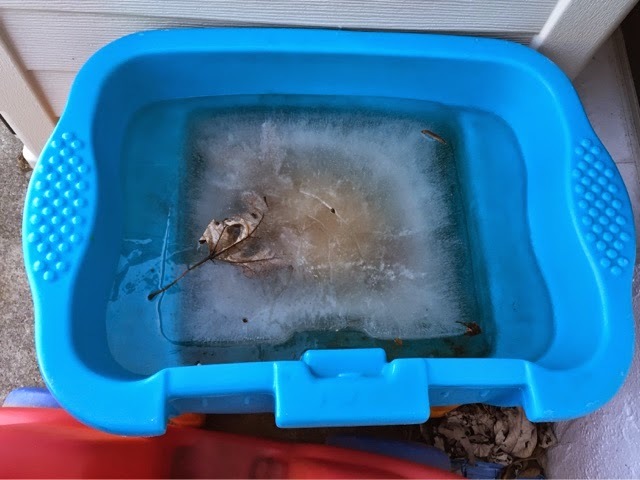 I also filled our outdoor water table with water and left it overnight to freeze. You could bring this inside and play with it just like this. 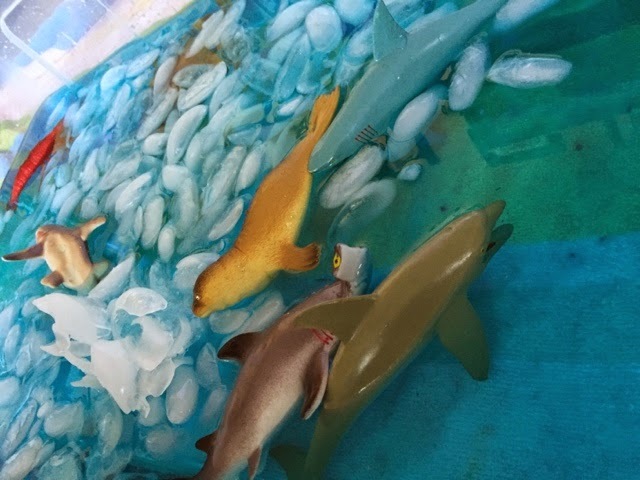 I chose to take the block of ice out of the table and place it inside a shallow plastic bin so that I could add some other elements as well. 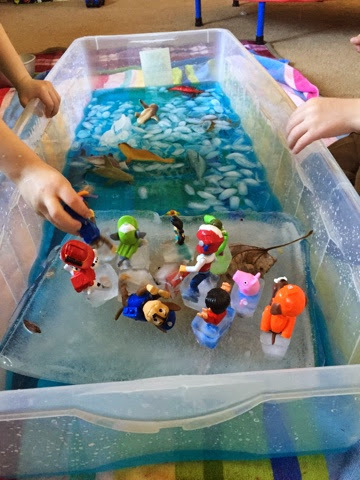 To the other half of the bin, I added some cold water, blue food coloring, ocean animals and some loose ice cubes. 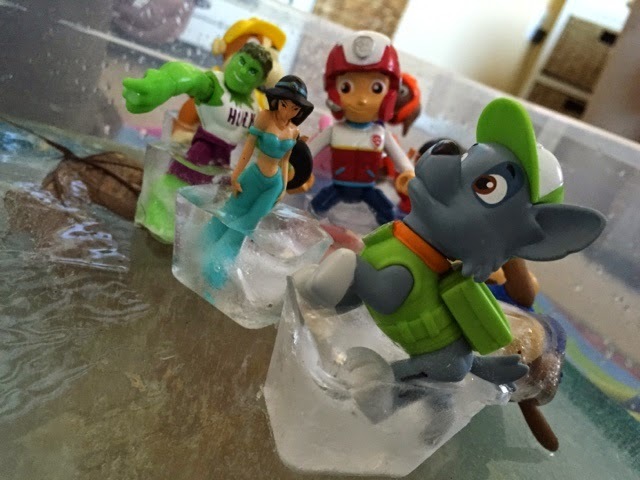 The kids played with this for over an hour! By the end of the play, we had discussed frostbite, hypothermia and penguins. So much fun, easy and all with simple materials that we had on hand! 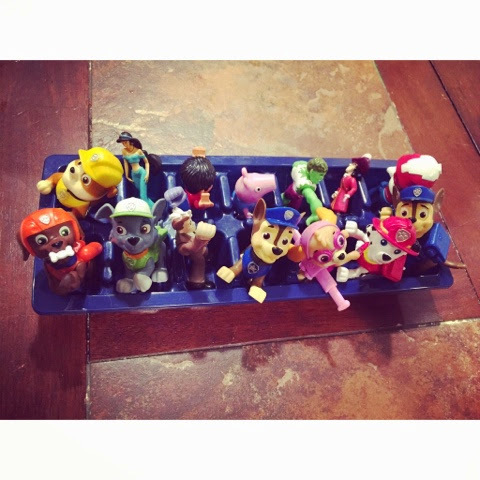 Such a fun activity for toddlers and preschoolers!